Churchgoers are among the most common targets for tax scams, the IRS said. NEW YORK (CNNMoney) -- The IRS is cracking down on scammers promising elderly and low-income churchgoers "free money" by urging them to claim fraudulent tax refunds. The nationwide scheme, which reaches victims through flyers and online advertisements, claims taxpayers can receive non-existent Social Security refunds or other tax rebates and credits for which they don't qualify. The con artists often tell taxpayers that they don't even need the proper paperwork to claim the refunds. The "free money" plots tend to target people with such low incomes that they aren't required to file taxes, so the victims are caught off guard when they are told they are missing out on lucrative credits and refunds. Once they file the returns for their victims, the promoters collect steep fees for their "services" and run off with the money, the IRS said. "In the end, the victims discover their claims are rejected or the refund barely exceeds what they paid the promoter. Meanwhile, their money and the promoters are long gone," an IRS spokeswoman said. Even if a taxpayer hires a preparer to submit a return and has no idea they are part of a scam, they are still legally responsible for the information in their return and will therefore be required to repay any money they receive fraudulently, the IRS said. One scheme that has been especially rampant this tax season promises senior citizens they can get refunds or stimulus payments based on the American Opportunity Tax Credit, a credit for college students or parents paying tuition and expenses. However, many of the senior citizens claiming the credit haven't seen the inside of a classroom in years, the IRS said. Another variation falsely informs people that they can claim the college credit to offset taxes they've paid on groceries. The IRS said refund-related tax scams like these spiked last summer and have spread from Virginia and the Southern United States to the Midwest. Generally, they have been less prevalent in the West and Northeast. 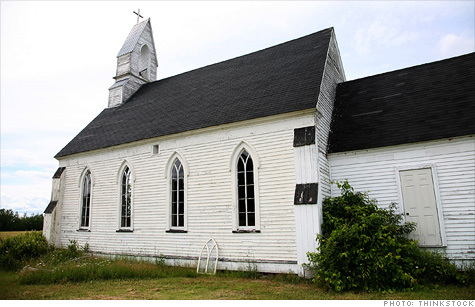 Churchgoers are among the most common targets, the IRS said. "Promoters are targeting church congregations, exploiting their good intentions and credibility. They build false hopes and charge people good money for bad advice," said an IRS spokeswoman. Betty Yee, a member of the California Board of Equalization, the government agency in charge of the state's tax administration, said these scams have been showing up in Fresno, Sacramento, Stockton and the San Francisco Bay Area. They have been especially prevalent among ethnic minorities, namely the Southeast Asian community. Last year, local community churches and organizations reported that scammers were conning residents in Vietnamese, Cambodian, Laotian and Hmong communities into thinking they were eligible for the Making Work Pay tax -- a payroll credit of up to $400 per worker -- when many of them weren't even working, Yee said. They would allegedly approach some victims in person and speak to them in their native language, often claiming to represent a non-profit tax assistance organization, said Yee. Other con artists would send flyers and paperwork to churches, and the churches would distribute them to members, thinking that they were legitimate advertisements for tax professionals. "They go through churches because people trust church officials," said Yee. "But particularly for low-income communities, there are free resources to help them with tax issues -- they shouldn't be looking to pay someone a fee. That's a big warning sign." Because of ongoing investigations, the IRS won't reveal details about the number of scams being perpetrated and the names of the specific churches involved. But the agency said that there are several red flags that people should be wary of. These include claims that elderly taxpayers can get refunds and rebates based on excess or withheld Social Security benefits and claims that Treasury Form 1080 can be used to transfer funds from the Social Security Administration to the IRS and result in a payout to taxpayers. Consumers should also be skeptical of any unfamiliar for-profit tax services that team up with local churches, as well as homemade flyers and brochures that suggest credits or refunds are available with little or no documentation. Some of these scammers advertise that low income taxpayers can file their returns with catch lines like, "Low Income -- No Documents Tax Returns," implying that low-income earners can get refunds without supplying necessary documentation and proof of eligibility. The IRS has been trying to raise public awareness by issuing nationwide alerts, and alerting individual churches to be on watch for con artists.